I wish I could tell you that they are all reading by now. That they all run in, books in hand, eager to settle in, settle down, and get to reading. I wish I could tell you that they told me that they cannot wait for summer because that means they can read all of the time. That they cannot wait for more books in that series, or by that author, or in that genre. That they cannot wait for 8th grade where they will get to come back and talk more books. I wish I could tell you that they all ask for one more minute, one more page, and beg for a whole day of reading. I wish I could tell you that they all love reading by now, but I would be a liar. You see, when you teach actual 7th graders, it turns out that sometimes you are still not enough. That it doesn’t matter that you have thousands of books at hand. That it doesn’t matter that you book talk amazing books. That it doesn’t matter that you give them time. That you give them choice. That you tell them to abandon those books that do not work and only read great books. That it doesn’t matter that you ask for their truths and then try to do something about it. You made a difference to some, yes, but not to all. And yet..I would also tell you that it is okay. That no one expected us to be miracle workers, that no one expected us to convert them all. To make them all reading believers. Instead what we were asked to do was to not make it worse. To not make them hate it more. To protect what precious positive emotions they do have about reading and shelter them from distress. To stay hopeful, to stay positive, and to keep believing that what you did mattered, and so you kept on believing they could. And so we did, and we tried, and we are still trying because the year is not quite over yet. Because we still have that book to discuss. That reading experience to create. That picture book to make them laugh. So this realization of perhaps not having reached them all is not one of failure or of giving up, because, again, the year is not over yet, but it is one of reality, one of truth, one of things beyond our control and the forces that work against us. So we do not despair when they tell you they still do not like reading, but instead, we ask, “Have you changed at all?” And then you smile when they say, “Well, maybe a little…” because sometimes we will not be there for the biggest change, but only for the humble beginning. And that beginning was worth every single step we took to help them become or remain kids who love to read. 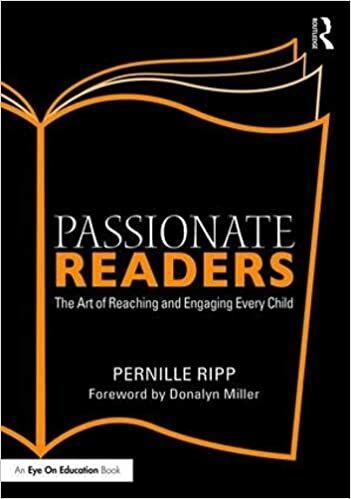 If you like what you read here, consider reading any of my books; the newest called Reimagining Literacy Through Global Collaboration, a how-to guide for those who would like to infuse global collaboration into their curriculum, was just released. 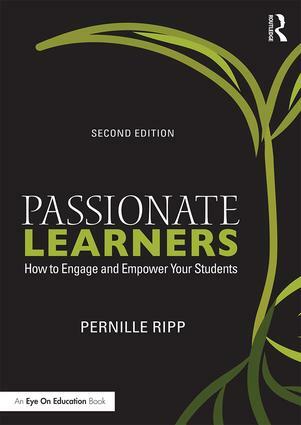 I am currently working on a new literacy book, called Passionate Readers and it will be published in the summer of 2017 by Routledge.If you are looking for solutions and ideas for how to re-engage all of your students consider reading my very first book Passionate Learners – How to Engage and Empower Your Students. Also, if you are wondering where I will be in the coming year or would like to have me speak, please see this page. Yes, I’ve lived by this idea and it’s helped me stay positive and enthusiastic about teaching kids. We often are not there for the change, but we have to believe what we are doing is helping the student in his/her journey.